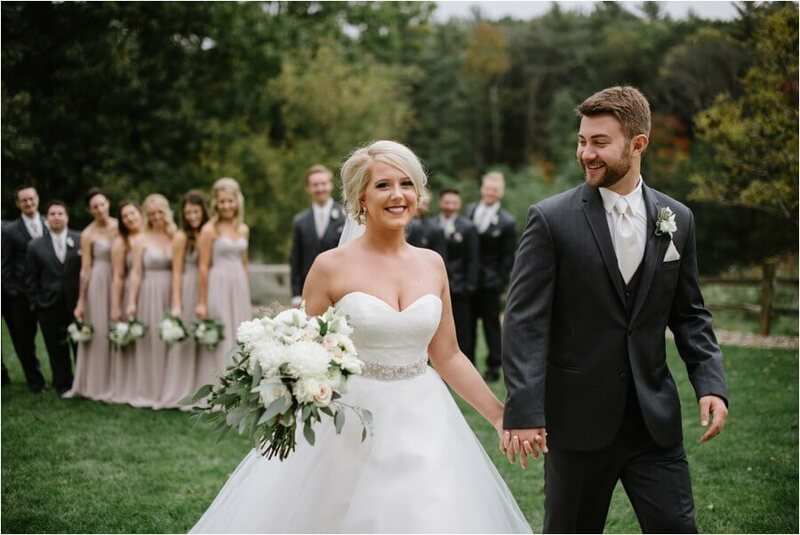 I feel so blessed to have worked with so many amazing couples this year, and Ashley and Jordan’s wedding day was such a blast. 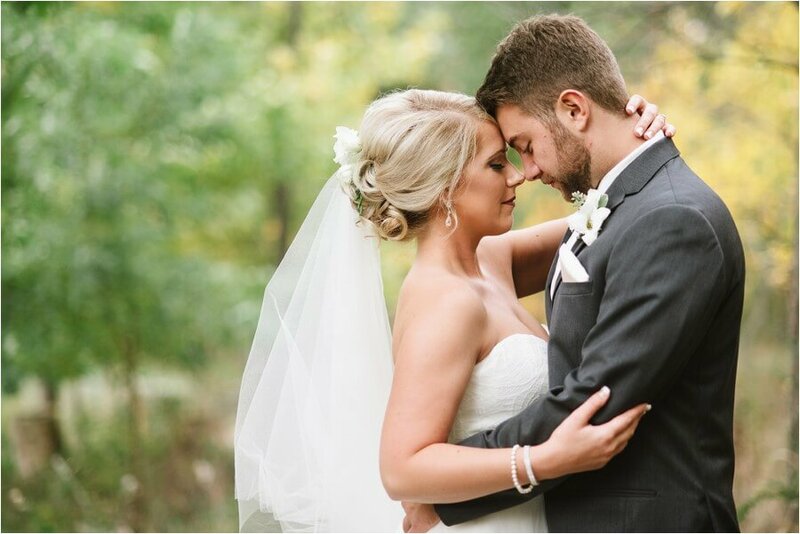 These two balance each other out perfectly. 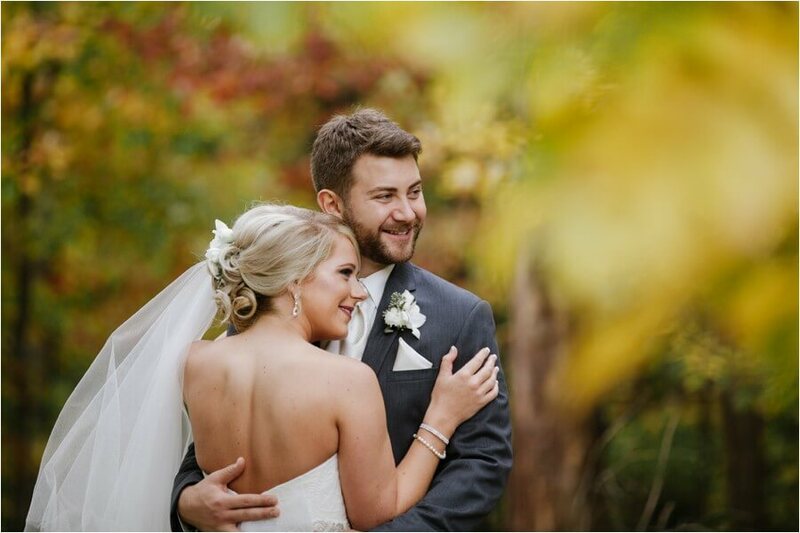 Ashley is wild, vibrant, spunky and Jordan is composed and cool, it was so great to be able to document their long awaited wedding day. 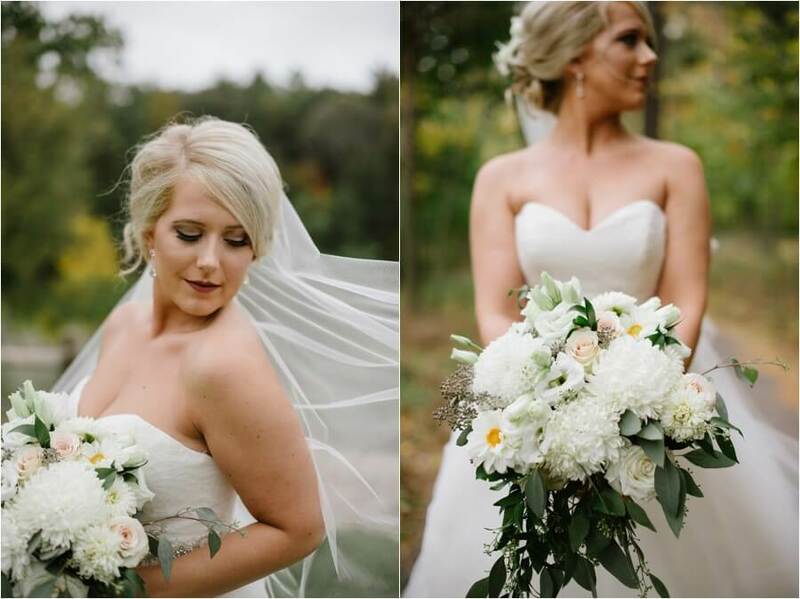 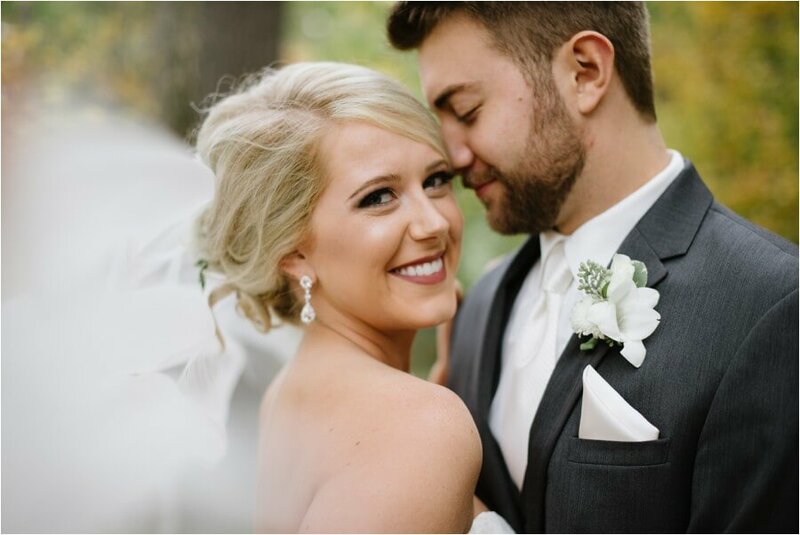 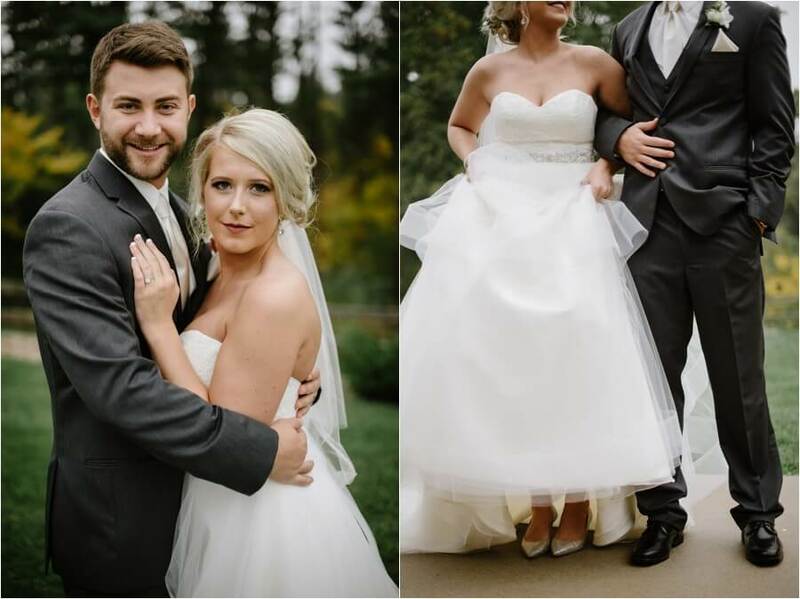 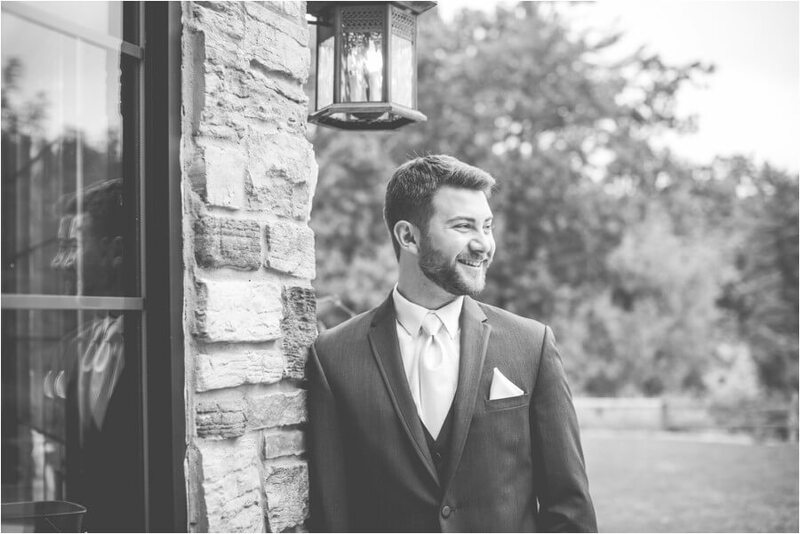 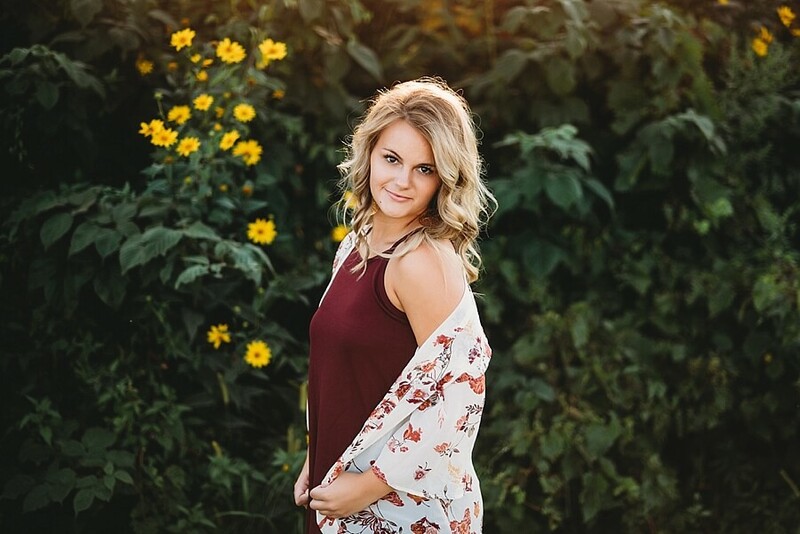 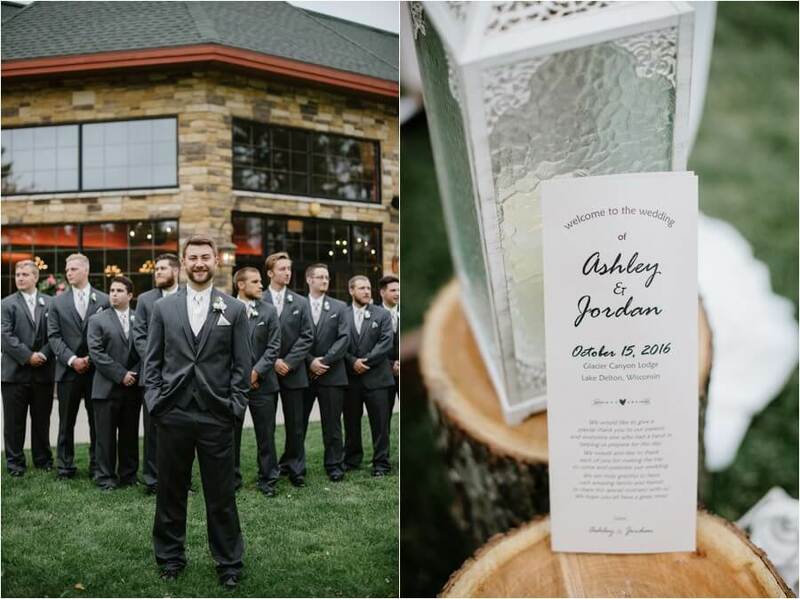 The couple met in the 8th grade and Ashley had a killer crush on Jordan right away, she remembers telling her mom that she wanted to marry him after the first time they met! 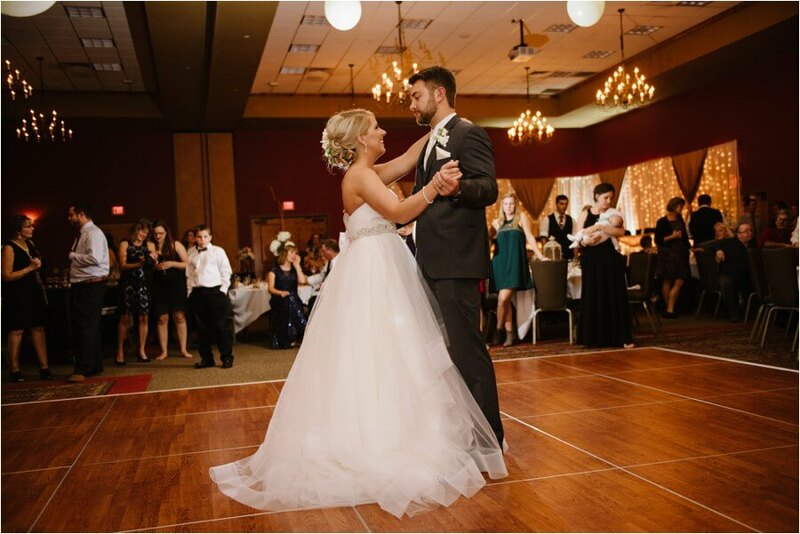 Several years later in high school, they had 1st hour Chemistry class together and they won homecoming court and that night they had their first dance and they have been inseparable ever since! 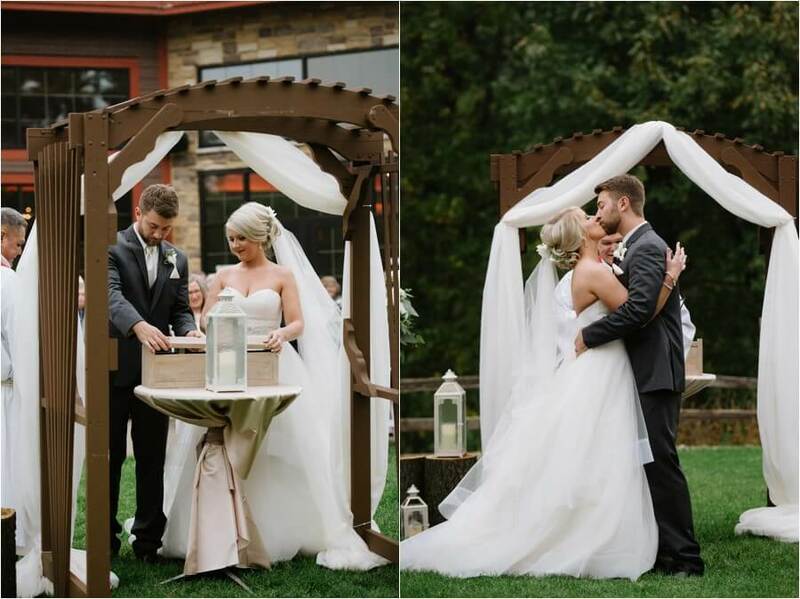 How sweet is that!?! 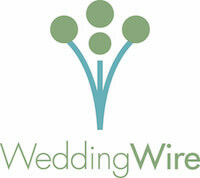 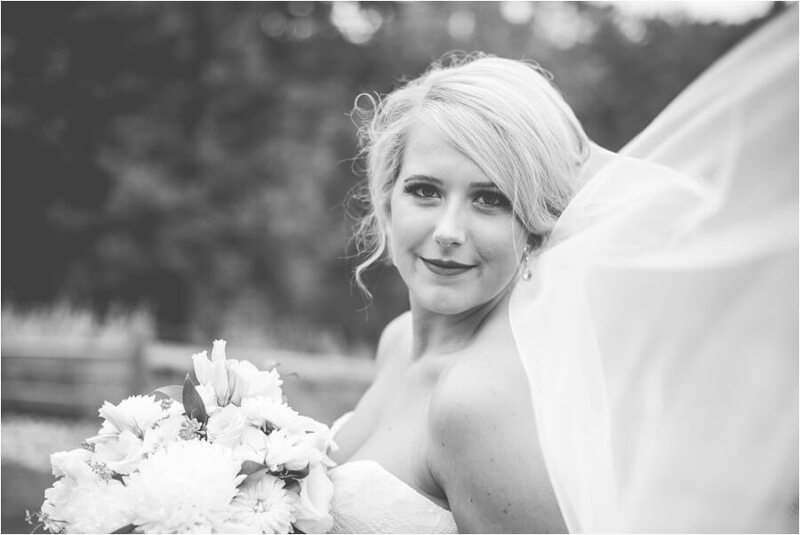 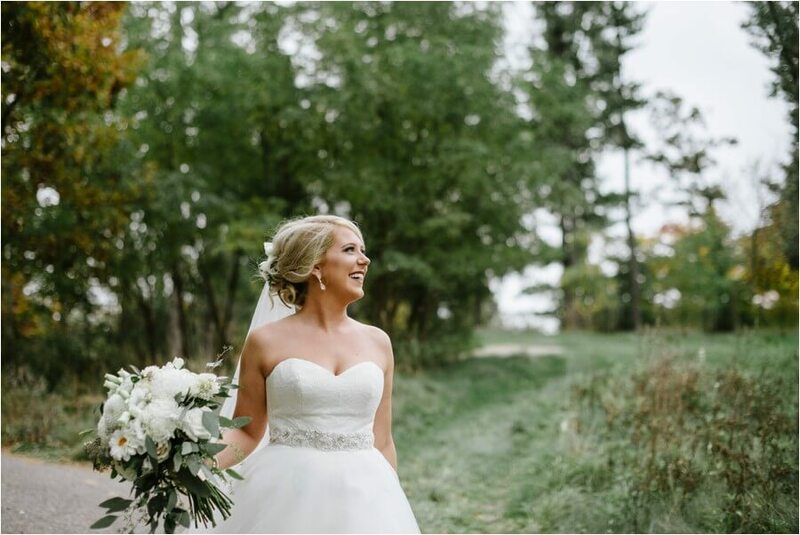 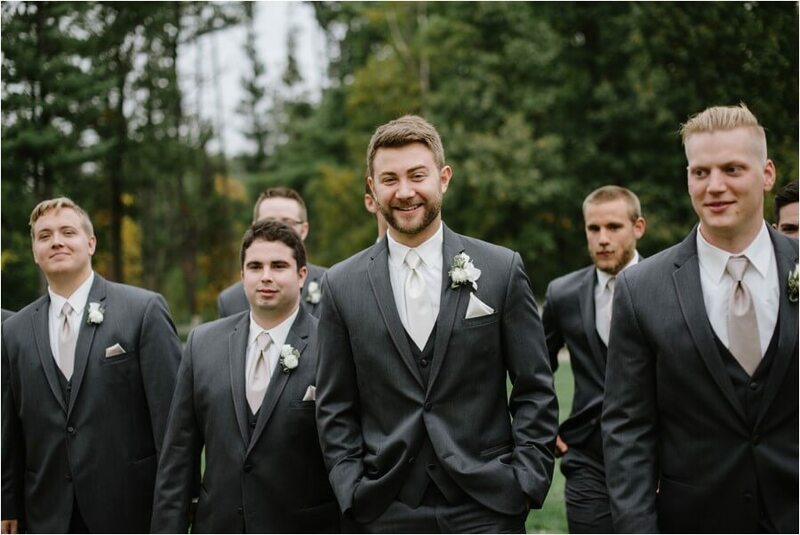 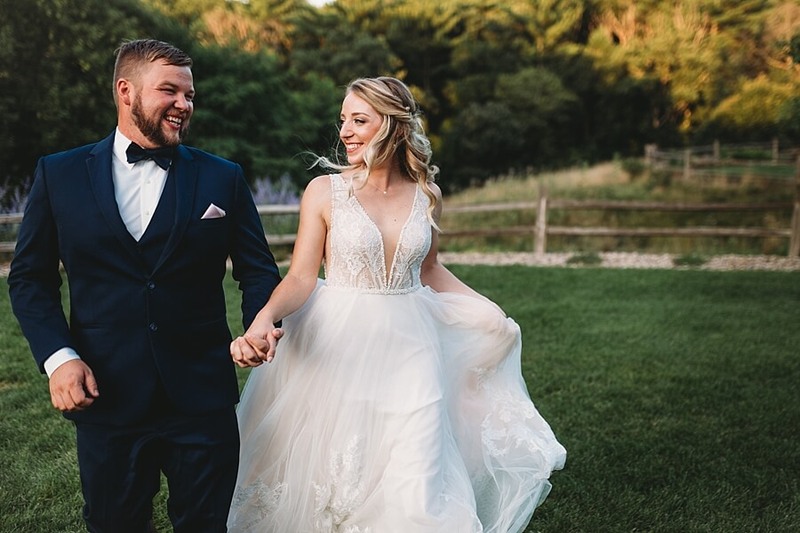 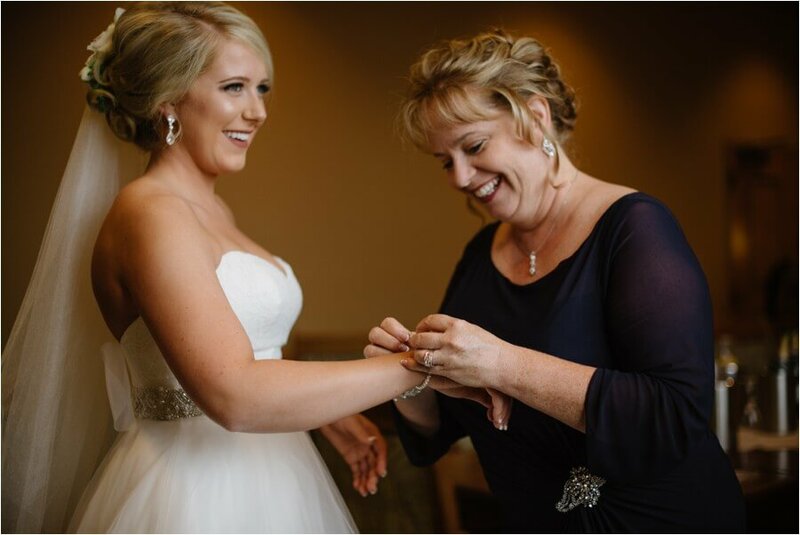 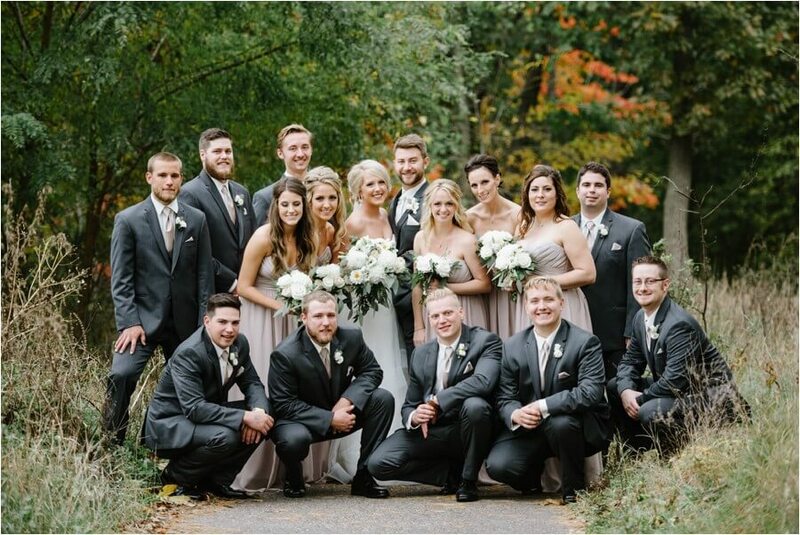 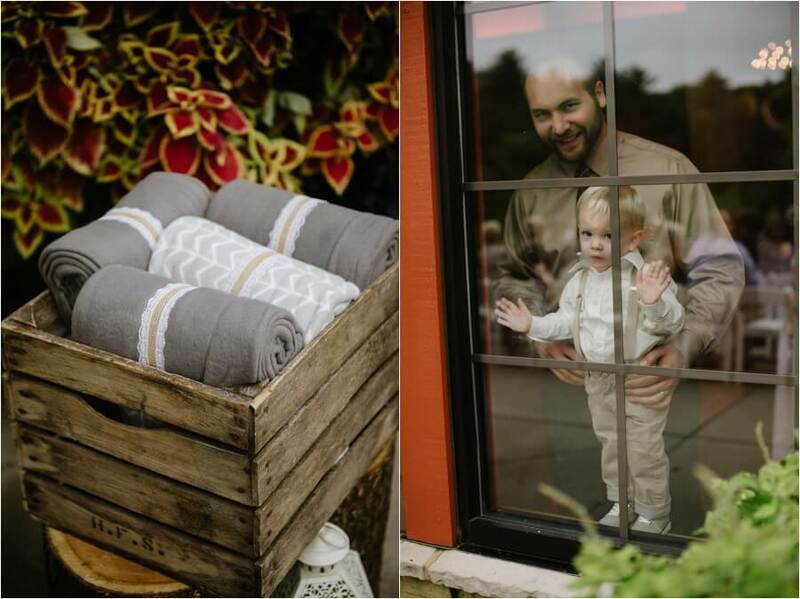 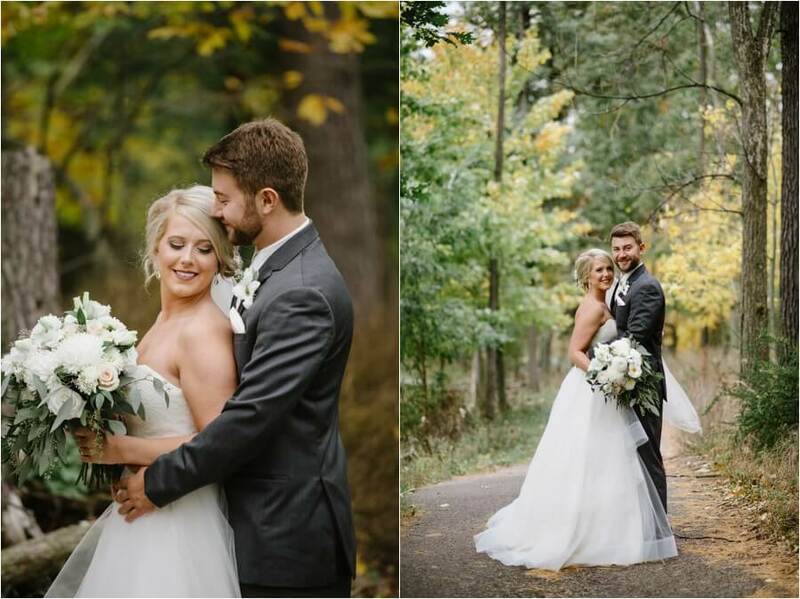 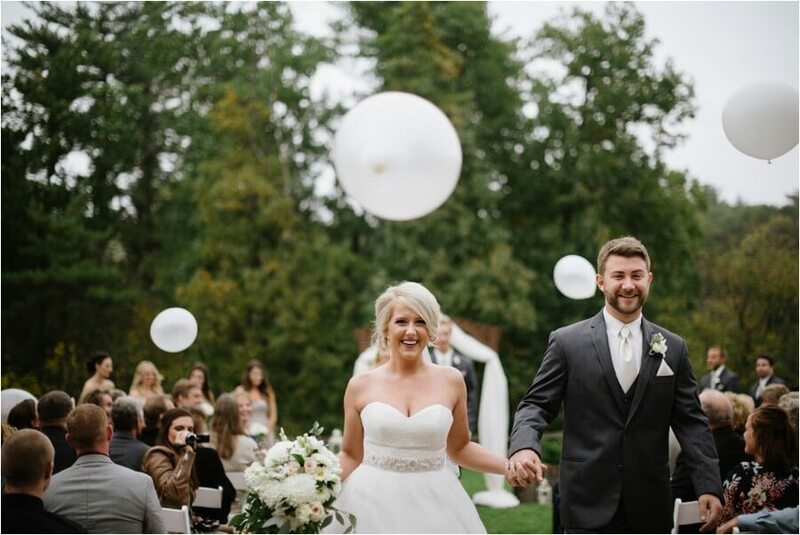 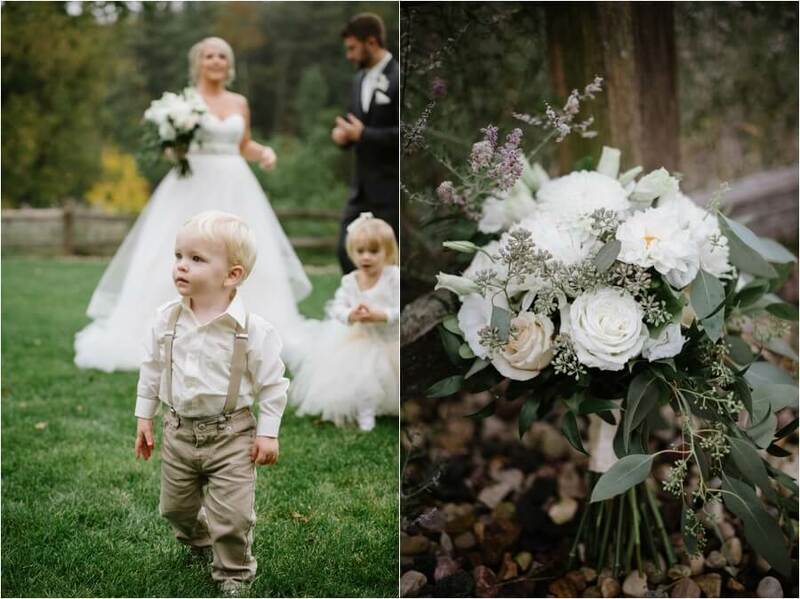 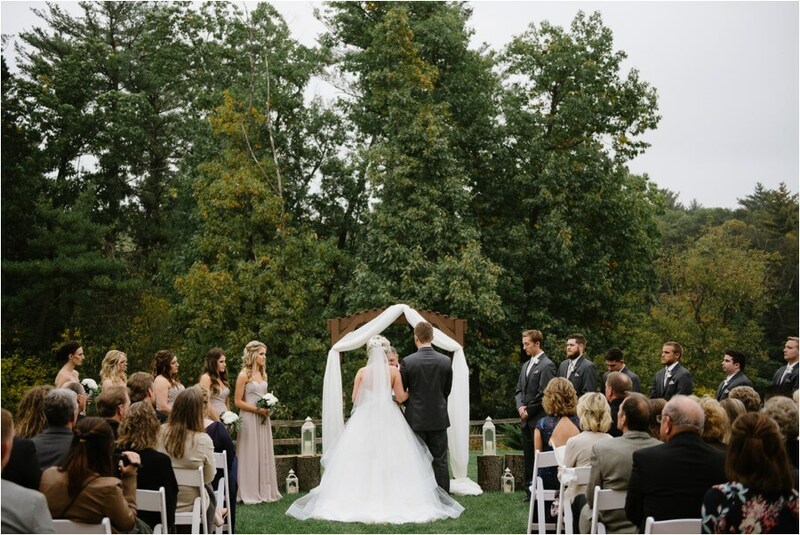 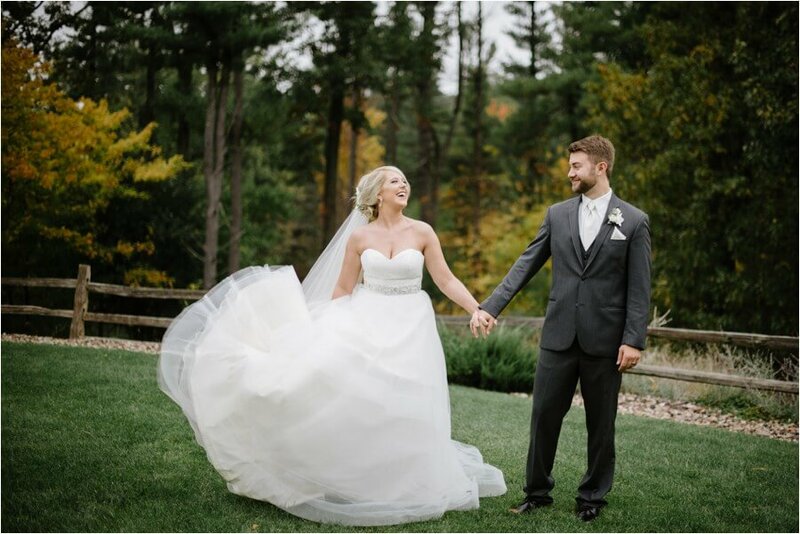 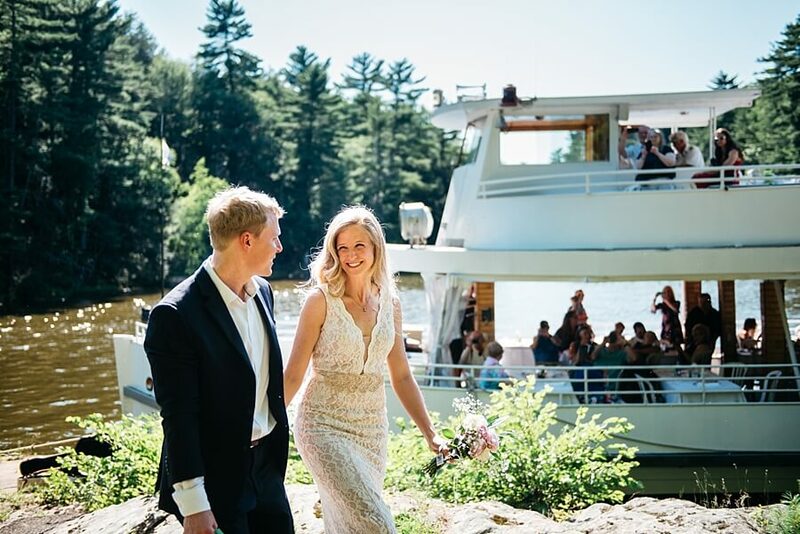 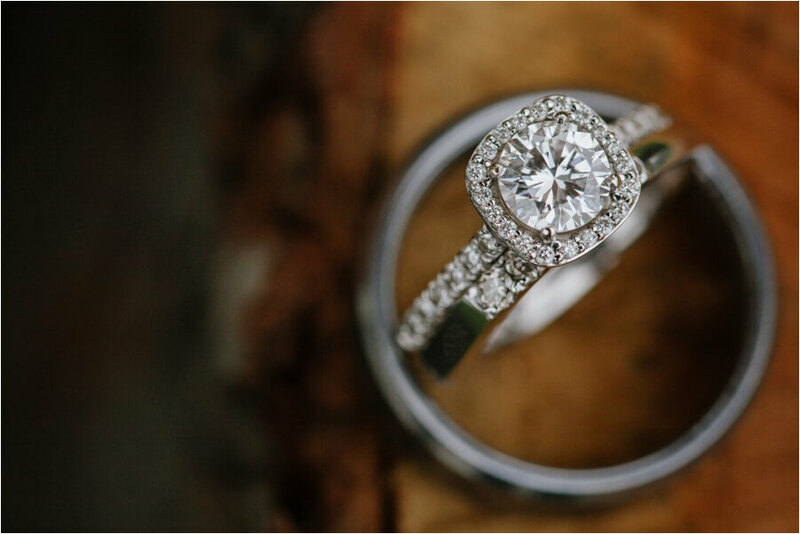 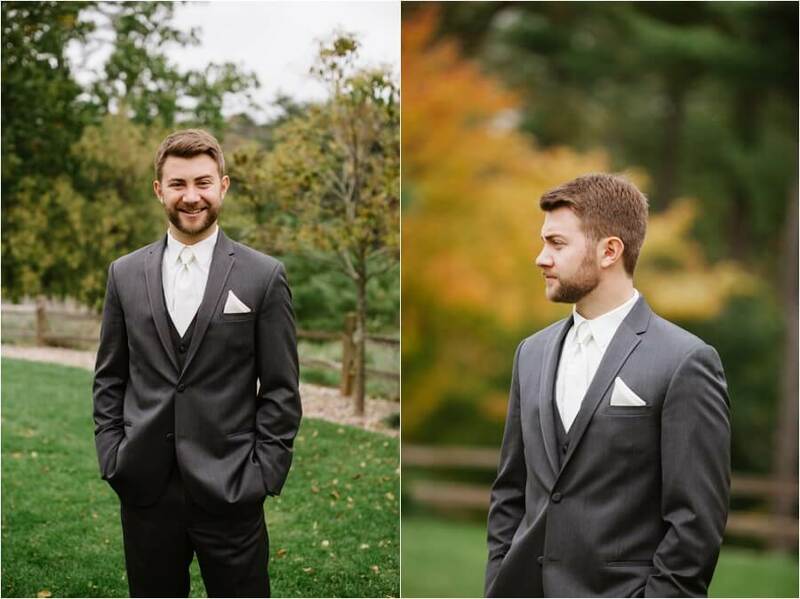 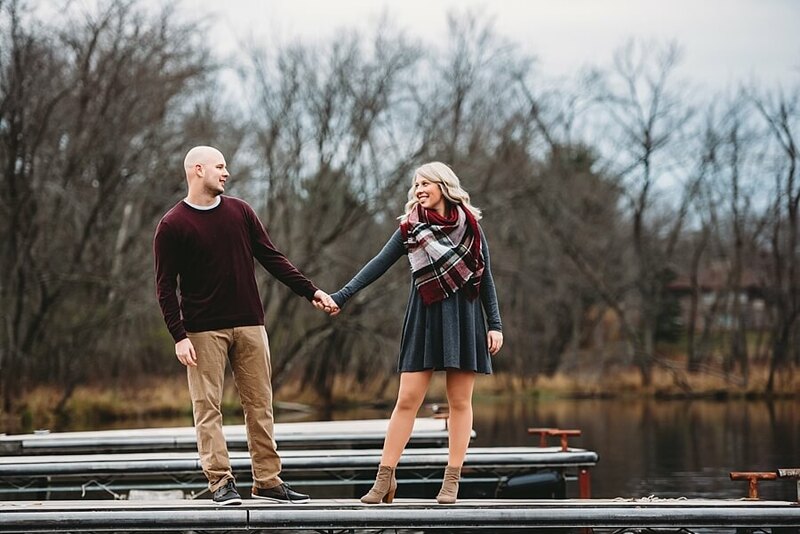 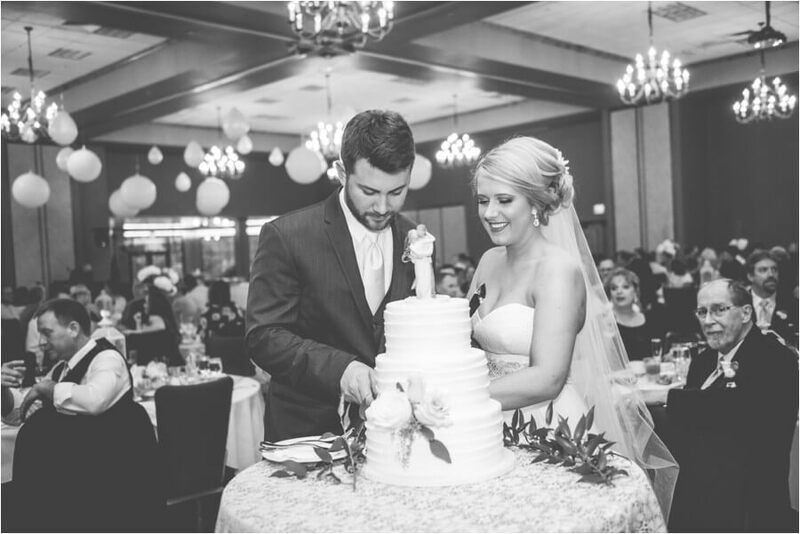 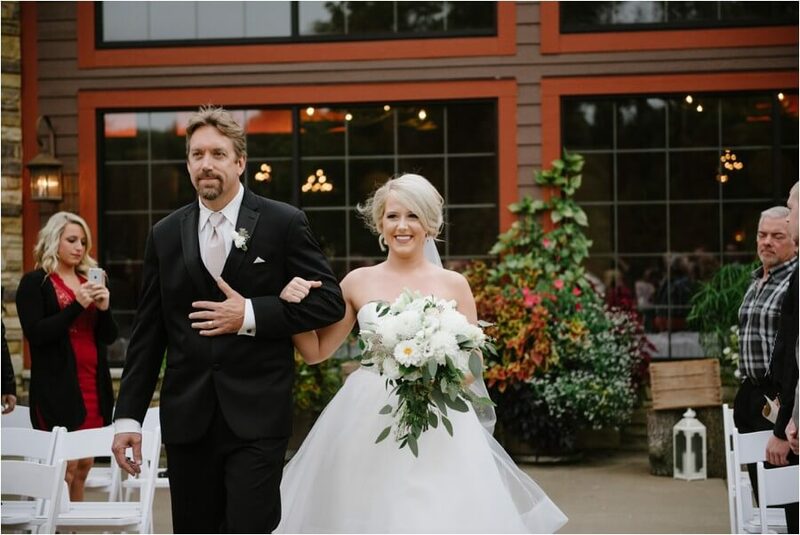 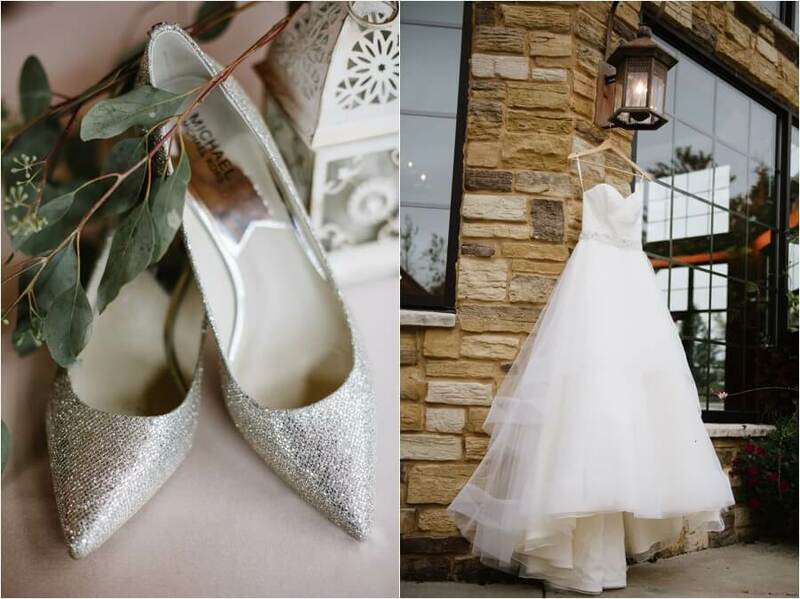 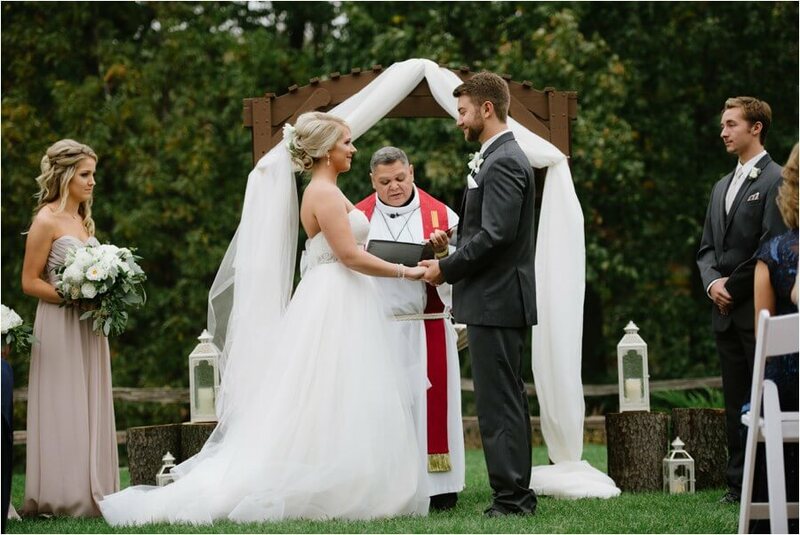 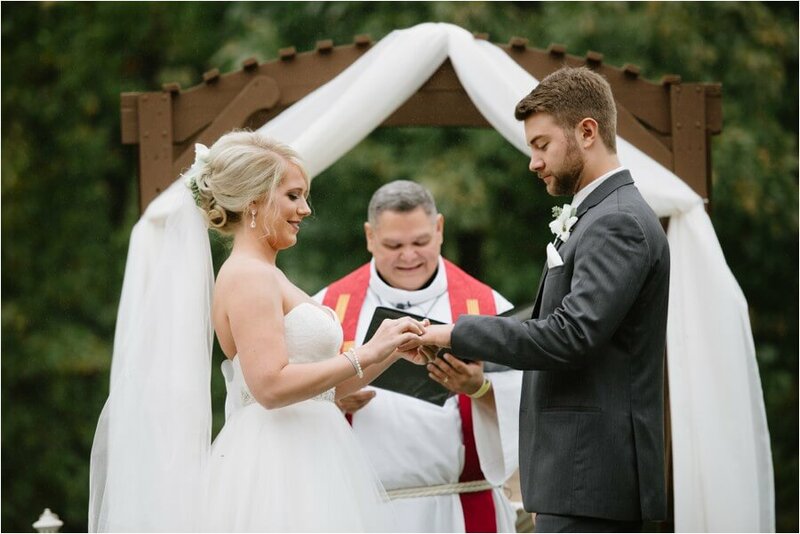 They chose the wilderness resort in Wisconsin Dells for their wedding to bring all of their family and friends up from the Waterford area to have a getaway and take the weekend as a vacation and a chance to celebrate. 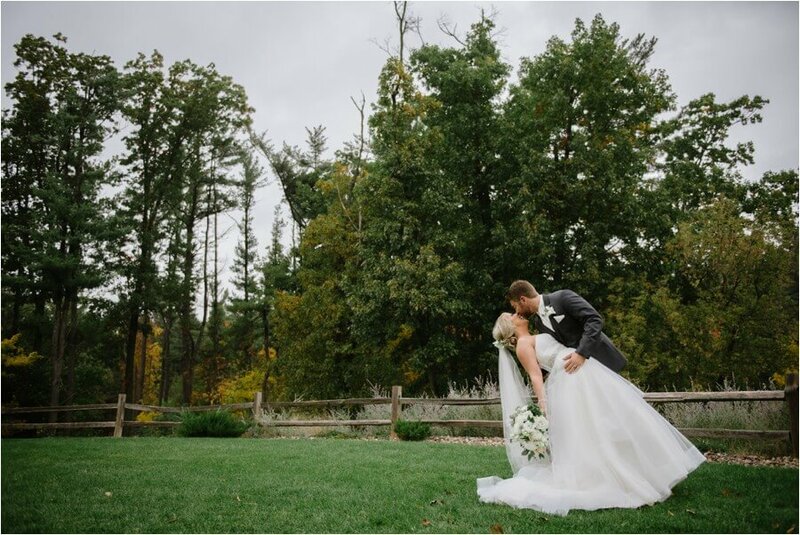 The leaves were just starting to peak and the overcast skies gave the day a subdued romantic feel. 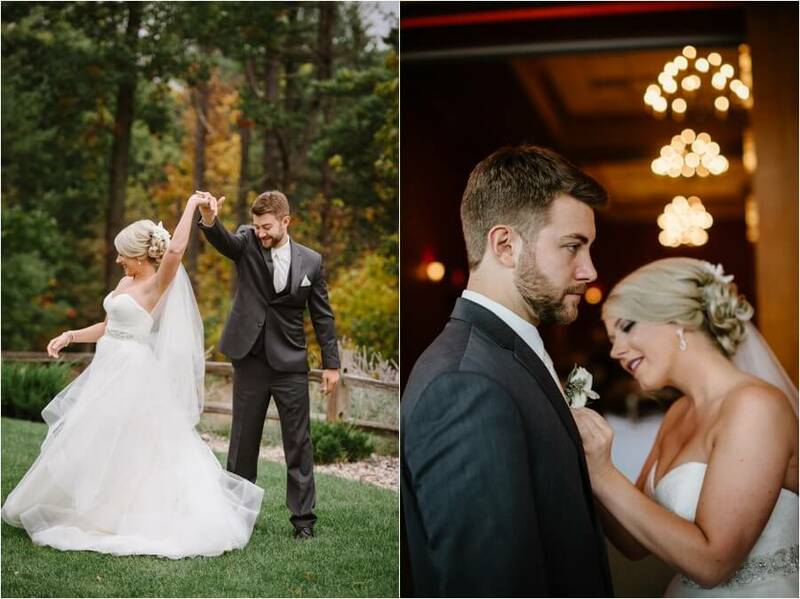 Ashley’s dress was so light and airy, and I could have watched her twirl around in it all day. 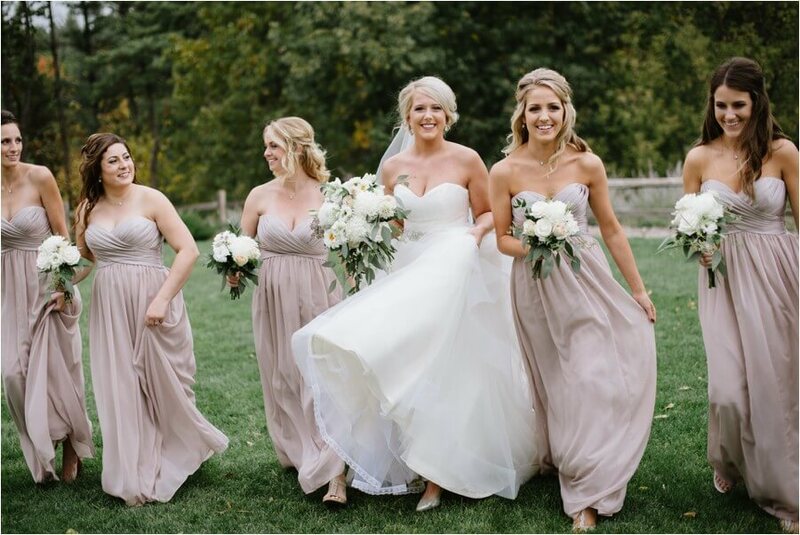 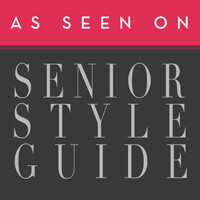 Take note brides, being able to move and be comfortable in your dress is sooo important! 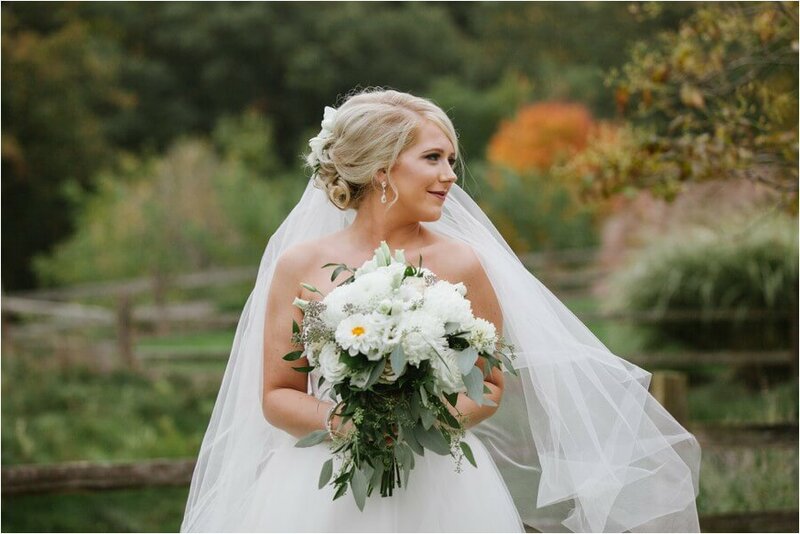 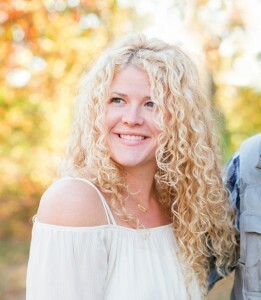 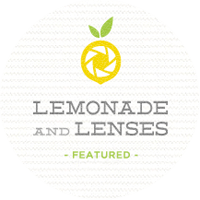 I could go on and on about this gorgeous day but I’ll let the photos do the talking:) And a big shout out to Tina of Blue Shutters Photography for second shooting with me! 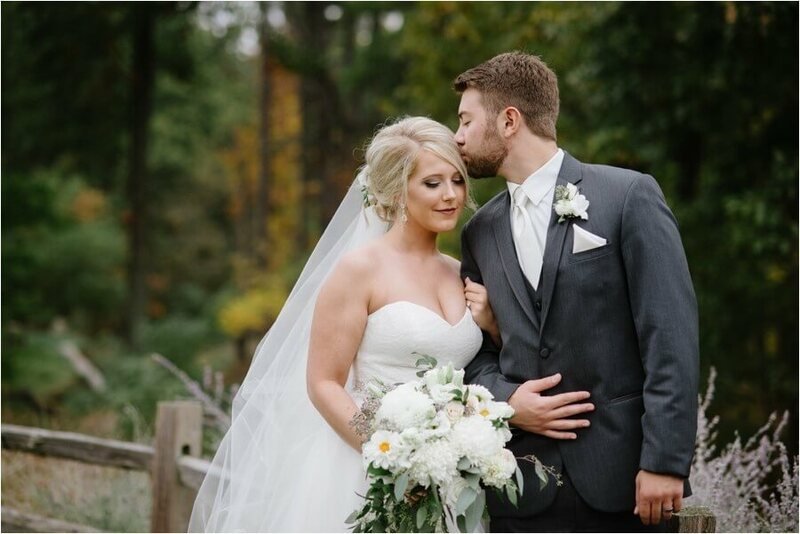 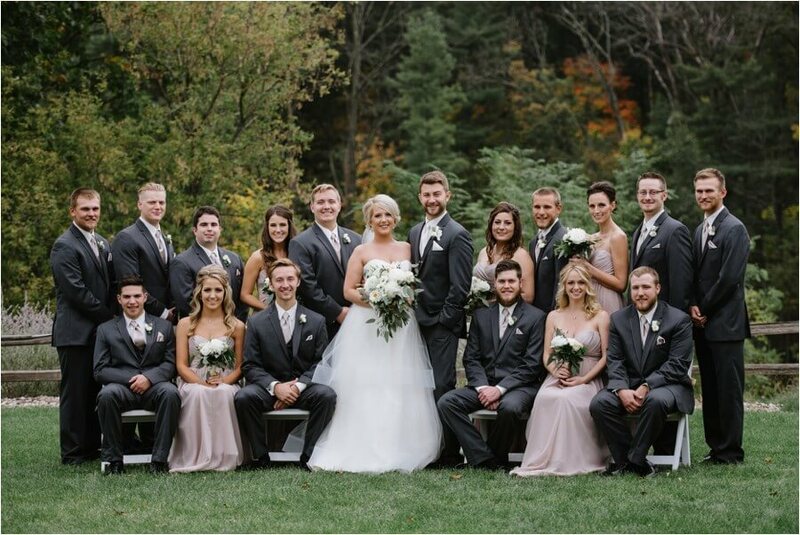 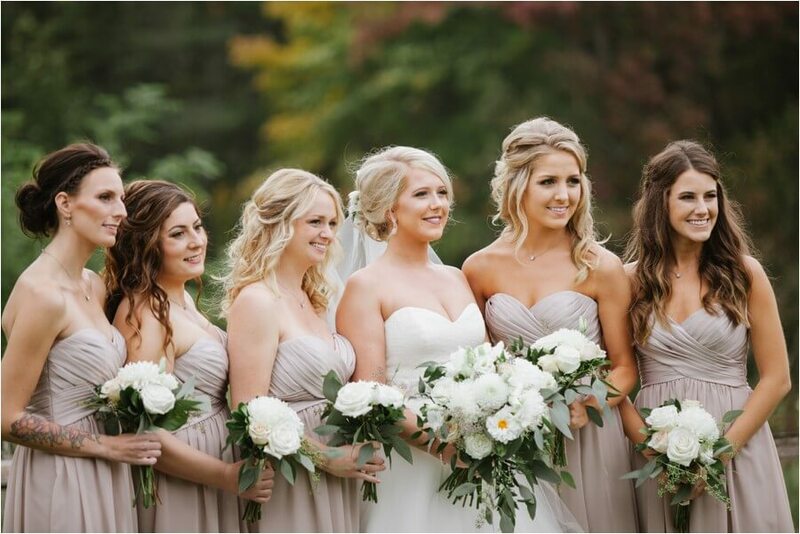 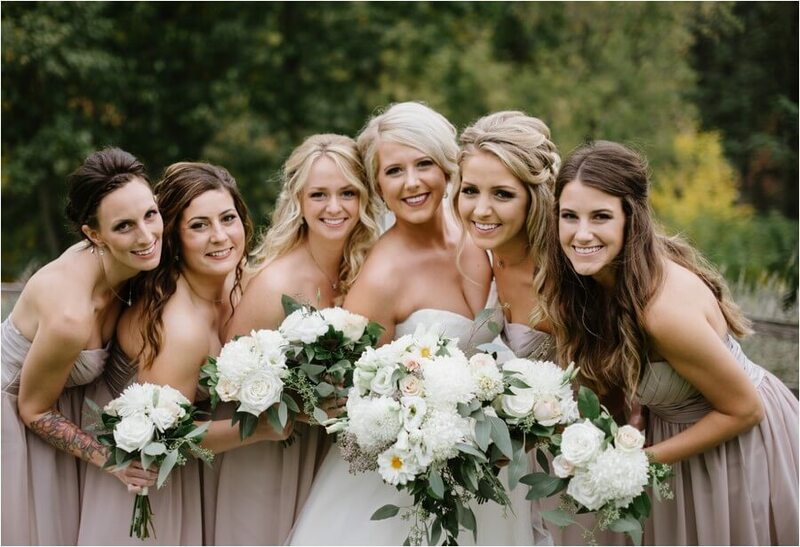 Enjoy this romantic fall wedding! 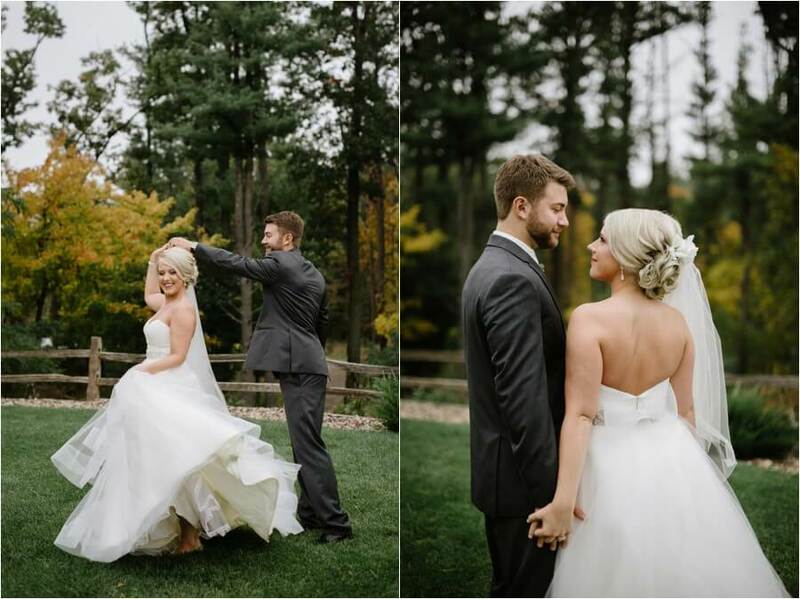 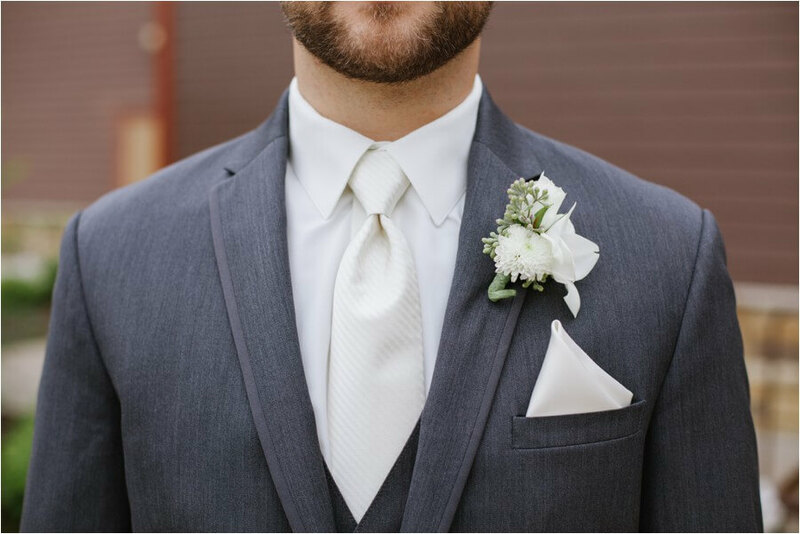 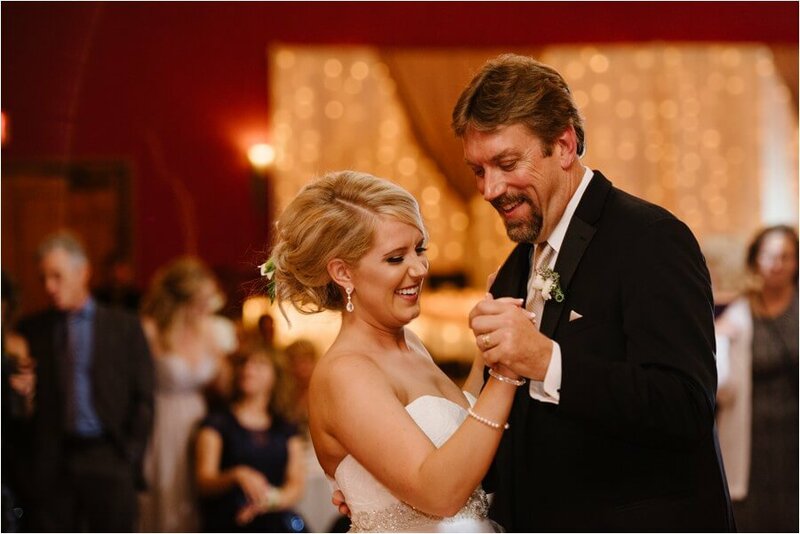 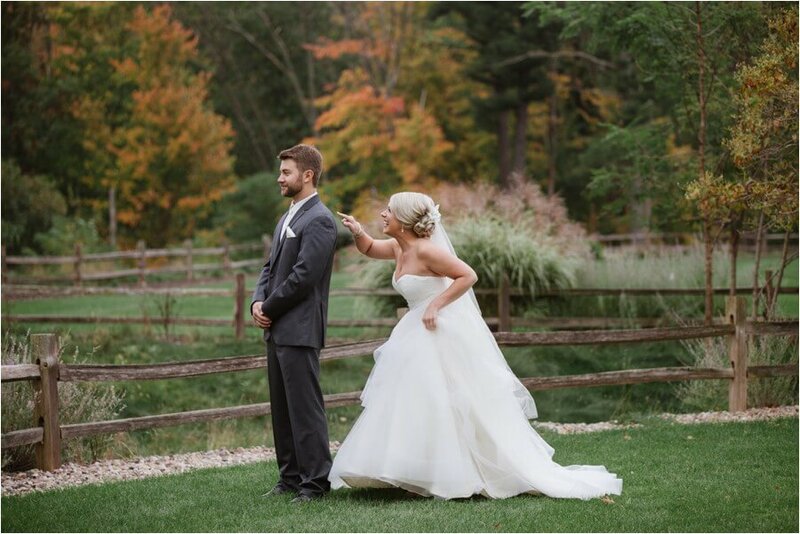 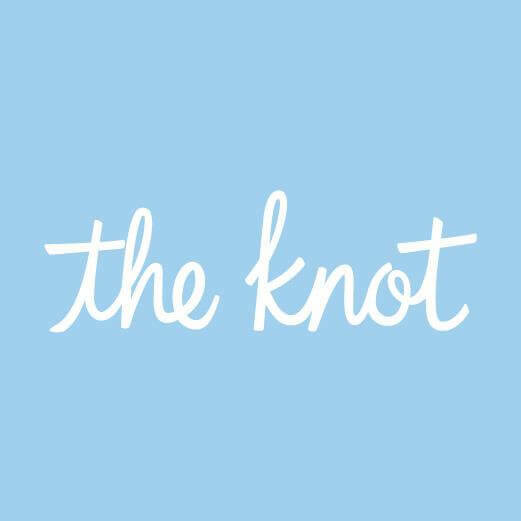 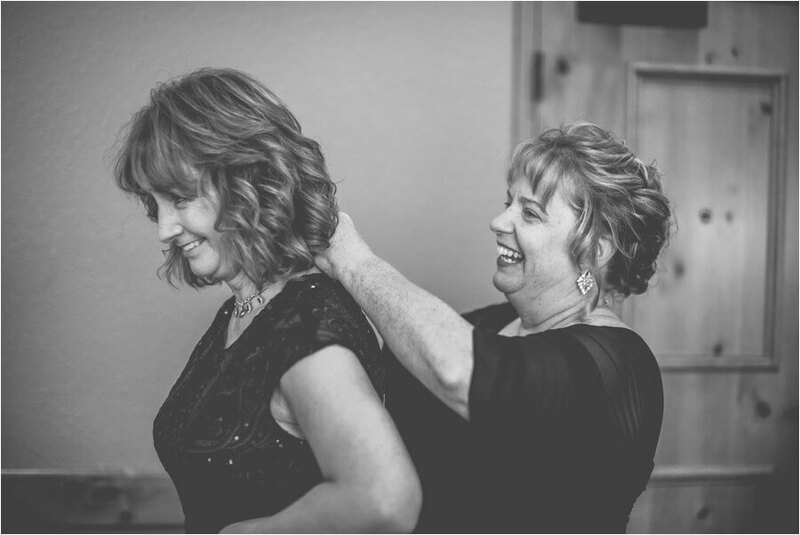 When grooms twirl their brides without anyone asking…..my favorite thing ever! 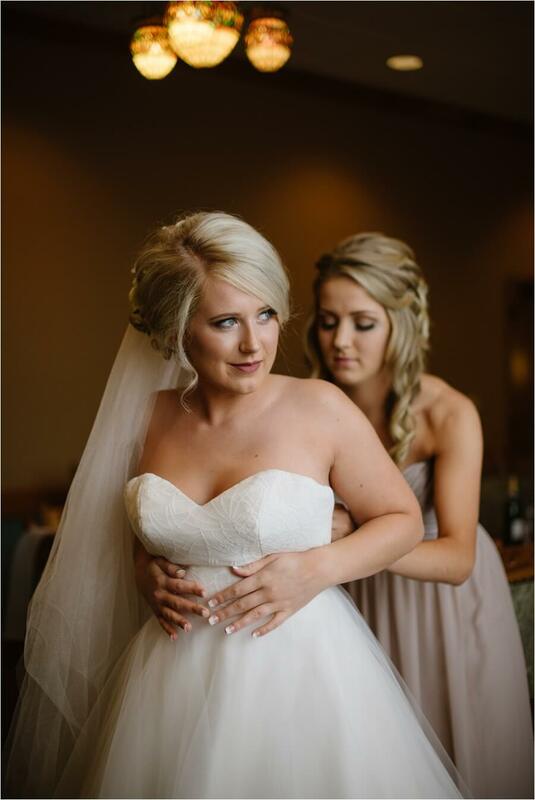 So excited to show her dress off to all her groomsmen! 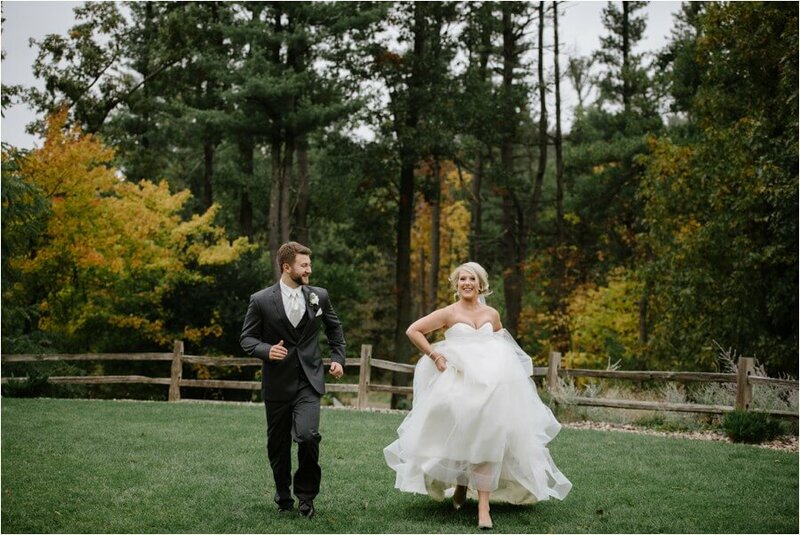 The movement in this dress was so much fun!